The subtle chess moves – particularly those that deliver a confounding checkmate – are just one of the very many things that make chess so artistic and obsessive. A King steps back in an innocent manoeuvre, or a Rook drags to an adjacent square in apparent lethargy… but, amidst it all hides that deadly killing-me-softly trap. 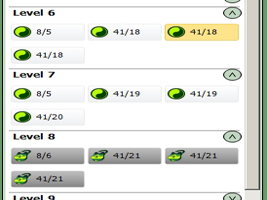 Here are some chess puzzles for the last weekend of June and the first weekend of July. These puzzles are sure to perk up the flavor of your coffee. We will post the answers to the chess puzzles in the comments section later. All puzzles are White to play and checkmate in two. 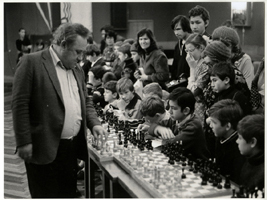 Speaking of great chess players who were never world chess champions, here’s a photo of a simul by a world-class grandmaster who actually coached two world chess champions. Can you guess who? More hints: He won the Soviet Chess Championship twice and was a Candidate for the World Championship on six occasions. You can find the answer and some more great photos in black and white at the Russian Chess Federation website. But, why not try guessing and we will post the answer in the comments tomorrow. Viktor Korchnoi – the living legend and the oldest active grandmaster on the chess tournament circuit – has one interesting distinction (from among a whole list of them really) – He has beaten the most number of world chess champions without ever being a world chess champion himself! Here is a game from the 1962 candidates chess tournament, the last held in a round-robin format for some years, at Curaçao. 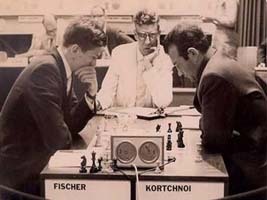 Korchnoi played this game against Fischer and it has his trademark style of going for the counter-attack amidst all the defense. 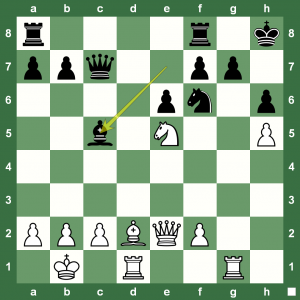 Can You Play Rapid Chess Like a World Champion? 18.Nc3 What did Black Play? Russia’s Valentina Gunina recently won the Women’s World Rapid Chess Championship 2012in the beautiful city of Batumi, Georgia. She dedicated her victory to her father who has taught her since she was five years old. Gunina continued to study with her father before she moved to Moscow and says her father’s contribution to chess cannot be overstated. Here is a nice game from the event in which Gunina beat Zhao Xue with black in a fast-paced game. But, before you replay the game in Chess King, how about looking at the position on the left and figuring out what Gunina played after 18.Nc3 18….? Men’s World Chess Champion vs Women’s World Chess Champion: Guess Who Won? Surely, this was a was a historical event for chess! The then reigning men’s world chess champion and reigning women’s world chess champion met over the chess board the World Blitz Chess Championship, 2009. The YouTube version below is a shortened version of the full game which can be found on the DVD ‘Chess Blitz Fever’ by 12th Women’s World Chess Champion Alexandra Kosteniuk. The third game between Russian Grandmaster Peter Svidler and Czech Grandmaster David Navara ended with a victory for the former. 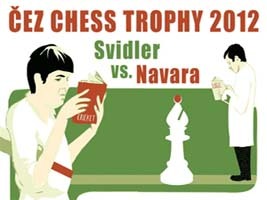 This allows Svidler to win the traditional Čez Chess Trophy Match with a round to spare. Svidler won the second game in a row. One game is still to be played. 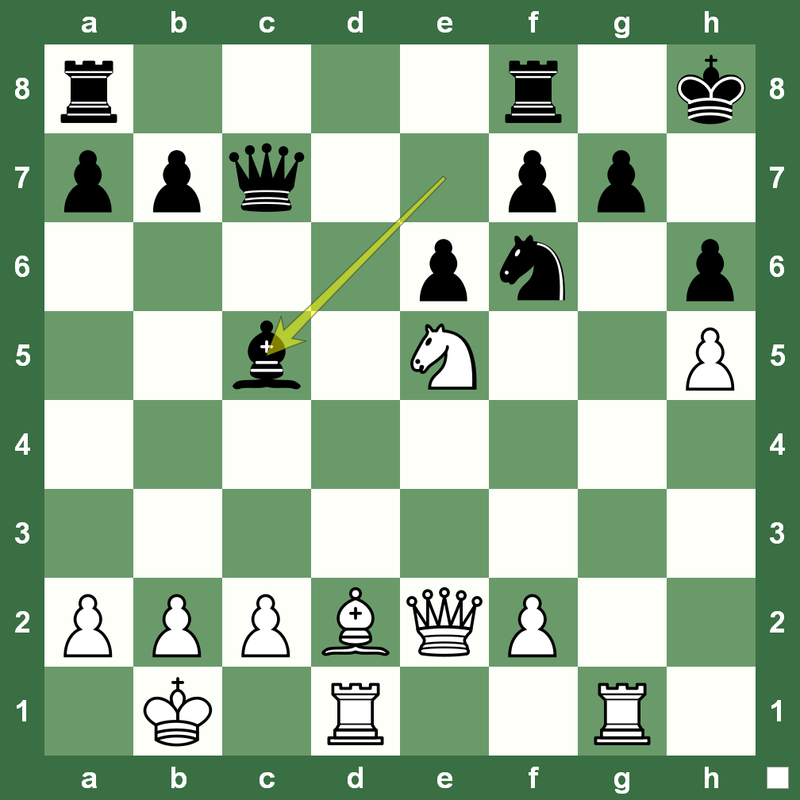 Svidler declined a draw offer on the 34th move to continue his attack. The score stands Peter Svidler-David Navara 2.5-0.5. The traditional Čez Chess Trophy offers top-rated Czech GM David Navara an opportunity to play a strong grandmaster from around the world once a year. You can see the second game at this Chess King Link. The Best Chess Game Award at the just-concluded Kazan Chess Grand Prix 2012 has gone to Viktorija Cmilyte. It was a special prize given on the occasion of the 100th birth anniversary of Rashit Nezmetdinov. The organising committee chose Cmilyte’s game against Women’s World Chess Champion Hou Yifan as the best game of the event. 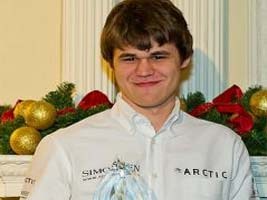 A nice report with lots of fantastic photos on the Kazan Chess Grand Prix is now available at www.chessqueen.com. Meanwhile, here’s the Yifan-Cmilyte 0-1 game from Round 4 in Kazan. 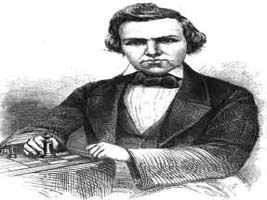 Eleventh World Chess Champion Bobby Fischer had said, “Paul Morphy had the talent to beat any player of any era if given time to study modern theory and ideas”. Later, some critics decided to disagree. 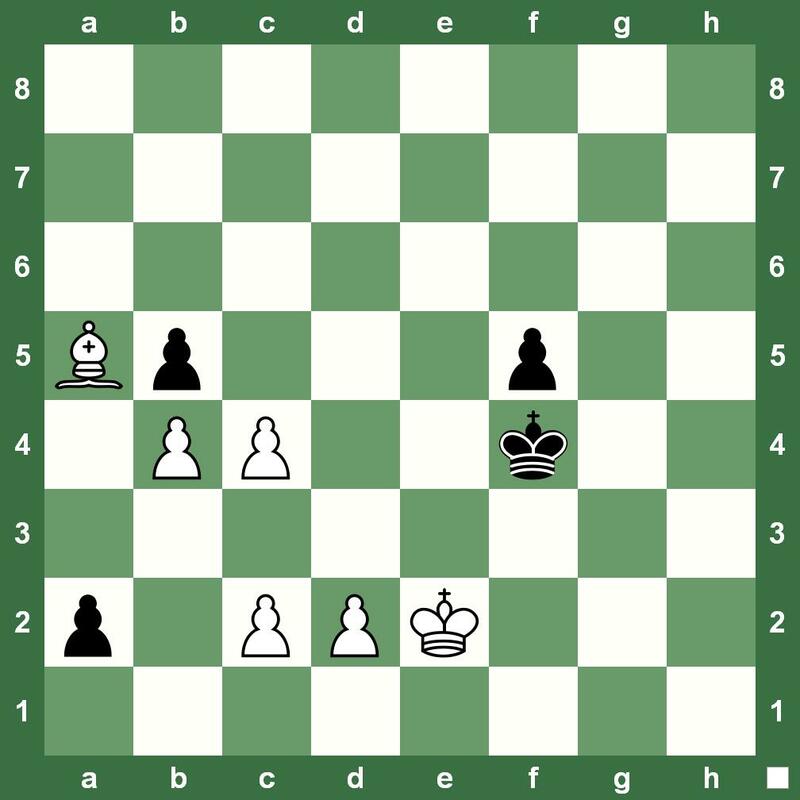 June 22 is Paul Morphy’s birth anniversary and it’s time to remember the ‘unofficial world chess champion’ with a simple, but elegant game. Though, there are several other stronger Morphy chess games to share, but here’s a simple and fun one. We found this game using the search function in GigaKing – the awesome chess games’ database that comes with Chess King. It has millions of games since the beginning of… time! Run the game and pause at 7. …Ng3. Then, decide what you would play as White before running through the rest of the game. Chess King and Chess King Pro feature one of the coolest “hooks” I’ve seen in a computer chess game in quite a while: the use of “levels.” The idea of “levels” and “leveling up” have become so common and pervasive in both video games and tabletop role-playing games, it amazes me to think that no one had applied this to a chess program before Chess King’s programmers did. The idea never crossed my mind and I even do a fair bit of writing for a small company that produces a tabletop role-playing game based on comic book heroes; it just never occurred to me that the concept could be applied to chess training! 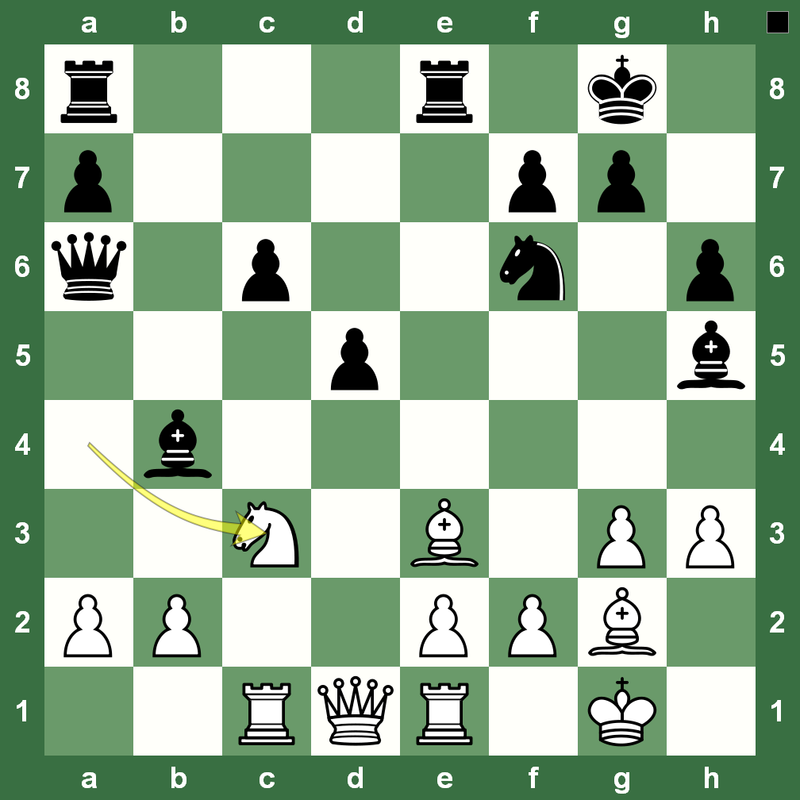 Endgame Chess King Puzzle: Bishop vs Queen! Can you take on Houdini this Tuesday? 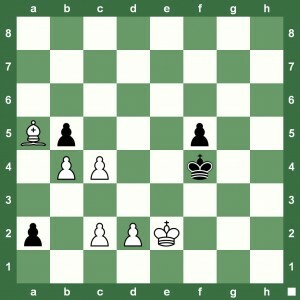 Here is an endgame Chess King Puzzle. White to play and win. Yes, the Black pawn on a2 is Queening! You will find the answer when you expand this post in our special Chess King game player. World No. 1 Magnus Carlsen has become a last round specialist at the Mikhail Tal Chess Memorial. 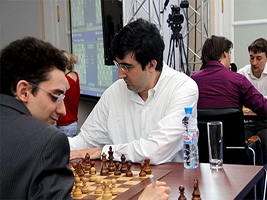 He won the 2011 edition of the traditional tournament by beating Hikaru Nakamura. This Monday, he won the 2012 edition by beating Luke McShane in the last round as well. Carlsen said at the press conference: There have been twists and turns that noone could foresee. As for myself, I thing I played, well I stared slowly. My first three games were not impressive to say the least. Armenia’s Elina Danielian played a nice game against Kateryna Lahno to lead at the Women’s Chess Grand Prix in Kazan on Monday. Elina Danielian said, “I can’t say I was perfectly ready to the variation we have played. I’ve got a position with isolated pawn so I had to play actively. My knights were in the center”. The game was important for Danielian because Lahno was in second spot and had all the chances to overtake the lead. An interesting draw was the highlight of Round 8 at the Tal Chess Memorial. Last seed Evgeny Tomashevsky was up against top seed and World No. 1 Magnus Carlsen. But, Tomashevsky was in full form. 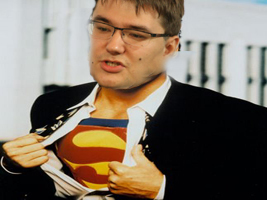 He handled absolutely everything Carlsen threw at him like the Man of Steel. Carlsen’s missiles went thud, as Tomashevsky held his ground for a frustrating draw – frustrating for the Mozart of Chess that is. Enjoy the game. 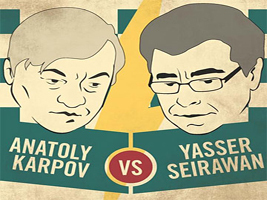 The Clash of the Kings: Karpov versus Seirawan took place recently in Saint Louis. The tournament format was as follows – Two Classical Chess Games: 90 minutes for the first 40 moves followed by 30 minutes for the rest of the game with an addition of a 30-second increment per move starting from move one. Each Classical game was worth two points. Two Rapid: Chess Games: 25 minutes plus a five-second increment. Each Rapid game was worth two points. 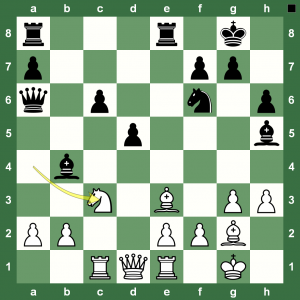 Ten Blitz Chess Games: Five minutes plus a two-second increment. Each Blitz game was worth one point. 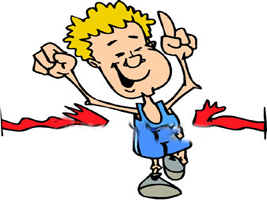 Prize Fund: 1st Place: $10,000, 2nd Place: $7,000. The Opening Ceremony for the event took place on June 9 and featured a special book signing event for fans and spectators. 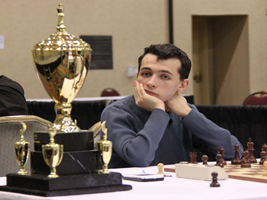 Video reports were with commentary by GM Ben Finegold and WGM Jennifer Shahade.